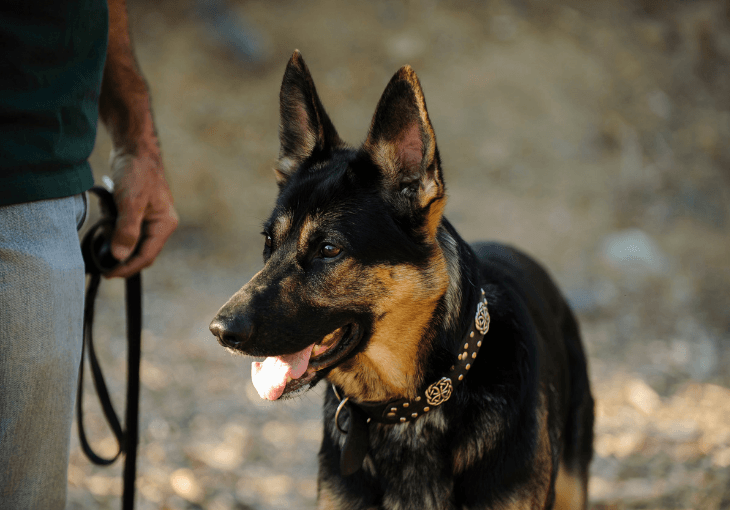 German Shepherds are one of the most popular dog breeds around, and for good reason. They are notoriously loyal, obedient, and often have dopey personalities that continuously bring laughter and joy to their owners. 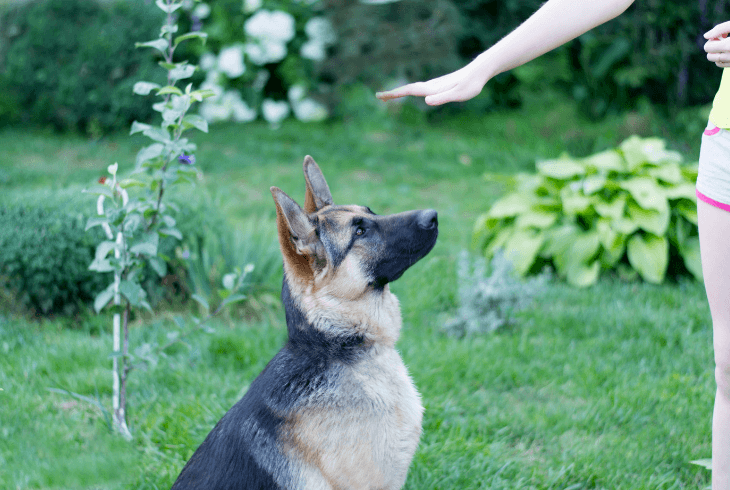 Obedience training does not happen overnight, though, and due to their working dog nature, it's imperative that training is consistent and effectively built upon to keep your German Shepherd happy and busy. 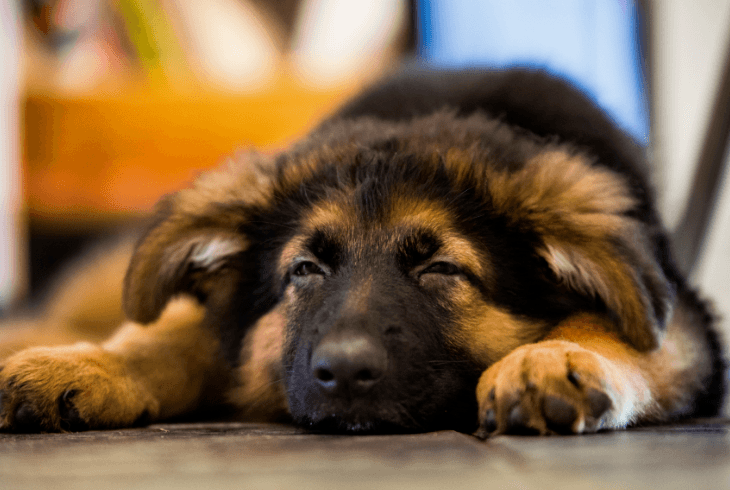 GSD (German Shepherd Dog) puppies grow up to be sizable adult dogs, and for that reason behavior training should start early in order to condition your dog to multiple types of environments and stressors that might cause an adverse reaction. Puppies are highly malleable, so if they come to learn that nothing will happen to them in strange environments or when performing tasks that might be considered high-risk, they will not have behavior issues later in life. Behavior training is about restructuring instinctual behaviors into appropriate reactions. For example, dogs that have never had a hand placed in their food bowl or touched while they were eating may bite an encroaching hand to defend its food. Another example is placing your dog in an area that creates over-stimulation and always ask your dog to pay attention to you, first and foremost. Bringing your dog to a dog park or a store that allows leashed animals and then asking them to perform simple tasks helps to build trust and reminds your dog that you are the priority. Try to think of high-risk or odd situations that your dog might encounter: a curious child getting into your dog’s face or pulling on their tail. Then slowly introduce this behavior to your dog with positive reinforcement when your dog is tolerant. Also, socialization training should be completed early, rewarding good behavior as you go with treats or a favorite toy. Now, when your dog grows up, you will have verbal and visual control over your dog in different or high-stress environments. 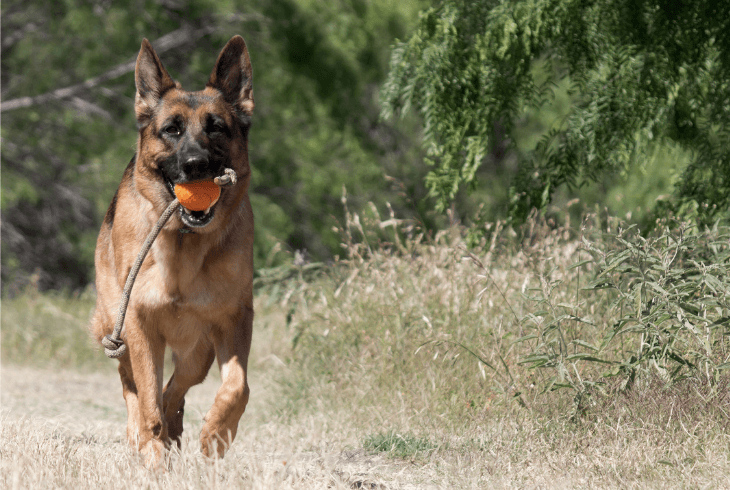 Whether your German Shepherd is an older dog from a rescued environment or a young puppy, you want to establish all of the basics first. The key to an obedient dog is trust and understanding. Trust comes with time and relationship-building exercises, such as the behavior training stated above, and understanding comes with simply observing your own particular dog. Moreover, you want to understand what it is, that's your dogs prize. Some dogs are very food motivated, but a lot of Shepherds prefer favorite toys as rewards for performing tasks or tricks. It’s also a good idea to try to train your dog to prefer toys over treats because teats can lead to an overweight pup quickly. Regardless, try to figure out what types of toys your GSD likes the most. Some prefer frisbees or balls or rope toys. Use the toy as a reward for basic behavior training: if your dog completes the task he gets the toy and you should act excited for him! Pro Tip: Never give the toy or treat for a half or uncompleted task, this will lead to confusion and your dog may only perform the task some of the time or only when it wants to. As a breed, the GSD is a working dog. Which means that they are built to perform tasks, and they have the energy to perform those tasks in abundance. Without guidance, without a task to succeed in, behaviors that are not wanted may develop. 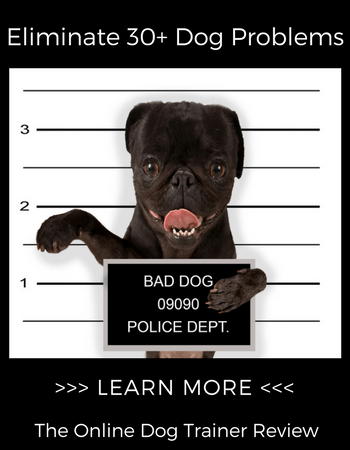 These unwanted behaviors could include; chewing on furniture or pushing boundaries, such as jumping or becoming an escape artist. Every day, you should be exercising your dog in succeeding in tasks or creating new ones. Even older dogs can learn new tricks, so experiment with some new goals. Once your pup has mastered the basics in many types of environments (e.g. sit, stay, leave it, fetch, come, etc.) use these foundational skills to build new, more complex tasks. Try a mental stimulation game of “Find It” where a treat or favorite toy is hidden in the room somewhere. Take up lure coursing, obstacle courses, or weight-pull to keep your GSD physically healthy and fit. The possibilities are endless with a bit of patience and practice, and the benefits of relationship-building with your dog is tremendously satisfying. Keep in mind that a tired dog is, also, a good dog, especially with the working breeds. It is always a good idea to train your dog to associate the leash with a good thing and/or train them to immediately heel at your side, even if they are far away. Thankfully, due to the nature of the German Shepherd, they tend to take to this training faster than other dogs. However, it still takes some doing to get it perfect. You will want to ask for the help of another person who is comfortable and familiar with your GSD in order to help train with this behavior. The goal is that your dog, upon hearing a command, should know that playtime is over and it is time to work. Whether that working task is simply following your directions, or a more complicated maneuver doesn’t matter, just as long as the dog understands how important it is to get to your side and pay attention to you. 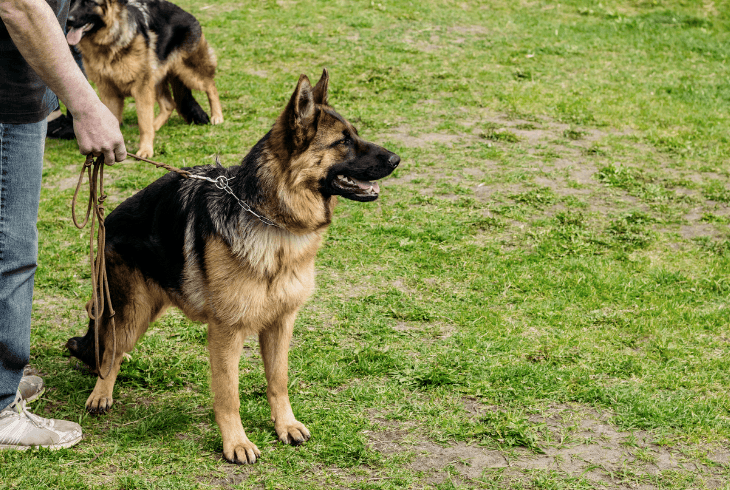 In your backyard or local park, put your GSD on a long training lead or take it off completely based on the presence of a fence or prior training. Ask your friend to distract your dog with some treats or a toy (not their favorite, you should have that), or introduce a familiar playmate dog. Once your dog is sufficiently distracted, either call with the leash held high over your head combined with a command of your choice or request the dog heel at your side. Combine this gesture or command with their favorite toy. As the dog becomes more and more accustomed to getting rewarded for immediately coming over to you, add some time to when your dog comes to your side and when you reward it with the toy. You can also piggyback the command with a “sit” so the dog must know that it needs to not only come over to you, but also sit and wait for its reward. When your dog masters certain levels of the training, add more and more stimulation. For example, allow someone to feed your dog a treat or add more dogs. Perfection of the behavior would be when the dog will leave all stimulation immediately at your command. This behavior is immeasurably useful as it allows you to regain control of your dog in many types of situations. It also builds on obedience skills that insists your commands are the priority. A mainstay favorite of obedience training is training your dog to walk and heel on a lead in any situation. 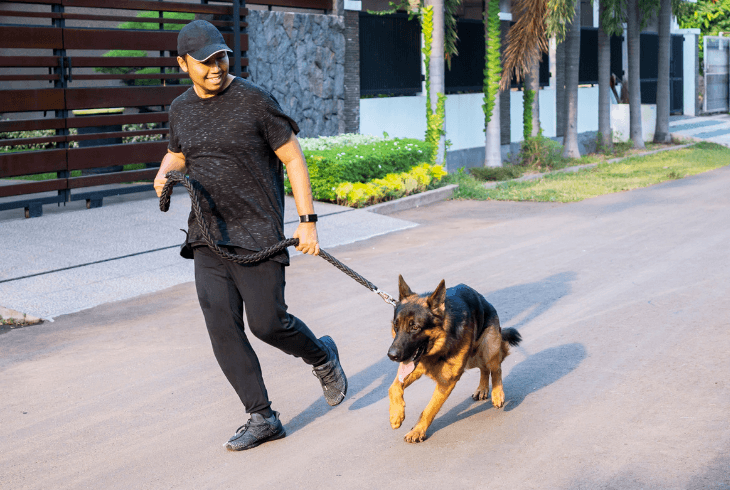 This can be learned in conjunction with training your dog to respond to a heel command at random and is a good way to build a longer time between rewards. In other words, you can call your dog to you, leash them, and walk them by your side all in one go without rewarding them until the end. Like anything, though, you need to start off small, with limited intervals of walking. A recommended collar would be a prong or chain collar to start, but you can eventually remove this for a softer collar. The goal is to indicate to your dog that its shoulders should never go past your leg, and it should follow in the direction you are walking. Eventually, much like tagging the “sit” command onto a heel command, you can insist your dog sits when you stop. However, this training should not be used for walking all the time, as it will stress your dog out to be able to go to the bathroom. Instead, it should only be for when you give a “heel” command. Many trainers will keep a favorite treat or toy by their eyes to indicate that the dog should look at them at all times, but my personal favorite is a dog that looks relaxed at their owner’s side, only looking up to them when they are sitting and waiting for a command to keep moving or to stay. As you’re training, if your dog slows down or speeds up too much, give a short quick yank on the leashed collar in the appropriate direction. Saying “no” along with the yank is usually too much as “no” indicates stopping what the dog is doing entirely; instead it should just be an indicator to speed up or slow down. Eventually, you should be able to have the leash slack with the dog responding to your movements, or the leash can be removed completely. It’s important to remember to be consistent and to only reward appropriate behavior at its completion. Staggering the learned behaviors will lead to a chained behavior, so start small and work upwards from there. Remember to push you and your dog’s abilities and patience in different locations or different scenarios, but always remember to be safe with both yourself and your German Shepherd. About the Author: An avid dog lover since she was a young girl, Kelly Siedhof is now the proud dog-mom of two wonderful mutts and also creator of K9deb.com. She is always trying to find new and exciting things to do with her pets. She enjoys travel, lives in New York, and never stops looking for her next journey.